‘Help your Alien’ is a multilingual board-game targeted at 6-12 year old children. Players must help Solar System back-packer aliens to return home, using the aliens’ physiological features to identify which planets and regions within the planet they come from. The game is being developed by the Science Communication Group of the Instituto de Astrofísica e Ciências do Espaço (IA), Portugal and will be designed and tested through an iterative process where feedback from children and families will be integrated into revisions to create a final version of the game. After development, free copies will be distributed to schools, science centres and museums. A digital version for download will also be produced. ‘Heritage in Space’ is a project to develop an online, pilot interactive platform for audiences across Europe to contribute their experiences, memories and contemporary observations of planetary spacecraft in order to collectively identify objects which possess intrinsic ‘space-heritage’ significance. ‘Confessions of History… of Science’ will produce a pilot video about the understanding of planets throughout history: from ancient times (Aristarchus of Samos, Claudius Ptolemy, etc.) to Renaissance (Giordano Bruno, Nicolas Copernicus, etc. ), up to the present day with the discovery of exoplanets (Otto Schmidt, Michel Mayor, etc.). The video will be a spin-off from the award-winning series, Confessions d’Histoire, and will thus take the shape of humoristic yet historically/scientifically accurate interviews with historical figures (interpreted by professional actors) and contemporary figures (as themselves). ‘Space Days 2019: Around the Moon in the Round Tower’ is an exhibition in the famous Round Tower in Copenhagen, the oldest functioning observatory in Europe, that will be held from October 4th – November 3rd. The exhibition will be a walk around the Moon in the center of the exhibition room following a timeline from the past (1950) and into the future (2050). On the journey the audience will learn about the formation, geology and topography of the Moon and about in-situ resources and the plans of returning to the Moon and later to Mars. for ‘Planets in your Hands’. ‘Planets in Your Hands’ is a project to construct models of planetary surfaces in square frames, giving a visual and tangible representation of a wide range of environments in our Solar System. These models will form a portable exhibition that will travel to schools, universities and private institutes and organisations. Visitors will have the chance to see, touch and have a sense of each surface, where the basic planetary characteristics will be given. For example, large temperature difference on Mercury, high temperature on Venus, the red colour of Mars, the gaseous and windy giant planets will be modelled, by utilising special materials for surface structure, warm and cool air (fans), gaseous and cold surface (dry ice), and special LED illumination effects. The project will be complemented with a specially developed website, including information about the Solar System and the exhibited planets. The project will target people who are interested in virtual tours on our Solar System and it will be carefully designed for children and visually impaired audiences, in order to “feel” the planetary surfaces and have the impression of the wide variety of surface, landscape characteristics, size and scale, as well as environmental properties. OpenPlanetaryMap (“Place on Mars”) . OpenPlanetaryMap is a mapping and social platform for space enthusiasts and students, planetary researchers and mappers, educators and story tellers. This collaborative project will create and share location-based knowledge and maps of others planets in our Solar System. A web map interface will make it easy and enjoyable for novice people to discover, search, share, discuss and add their own Places on Mars. As the underlying data sets of the interactive map will be curated and used by planetary researchers, the project will also create a direct link with and between planetary researchers. Along with the basemaps, these scientifically accurate data sets will easily be accessible and reusable by others to develop new applications or interactive maps for specific scientific or outreach purposes. Teaching planetary science using a spherical projector to show the planets’ surfaces is a very effective but usually very expensive idea. Whatsmore, it usually assumes the availability of a dedicated space and a trained user. “Planets in a room” is a project made by the non-profit association Speak Science to build a low cost version of a small, spherical projector that teachers, museum, planetary scientists and other individuals can easily build and use on their own, to show and teach the planets. This proposal, aimed at bringing planetary science to a larger audience, was awarded €7,500 by the Europlanet Outreach Funding Scheme in 2016, and a further €7,500 in 2017 to complete the project following the demonstration by Speak Science of a working prototype at EPSC 2017. 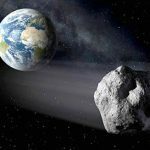 For 2013, an award of 8,000 Euros supported an online educational outreach, citizen science program for the general public to have the opportunity to make original discoveries of near-Earth objects (NEOs). On a nightly basis, depending upon the bright Moon and weather, image sets from the Astronomical Research Institute (ARI) Observatory (Minor Planet Center, Observatory Code H21) were provided online. Taken with either the 0.61-m, 0.76m or 0.81-m prime focus telescope, the general public could blink the stacked and tracked images looking for faint, undiscovered NEOs in the background. For 2013, an award of 8,000 Euros supported the development of multiplayer games to teach environmental science and planetary environments to target audiences of teenagers, adults, and the visually impaired. In 2012, an award of 5,700 Euros supported a team at the Eötvös Loránd University, Dept of Physical Geography, led by Dr. H.I. Hargitai to develop a series of planetary maps for children. The maps, which can be printed or viewed online, have been presented at conferences worldwide and are now available as an activity collection on astroEDU. In 2012, Europlanet awarded a grant of 7 000 Euros to the Centro de Astrobiología (CAB-INTA) in Madrid for ‘Meteorology of Mars in Schools’. This project aimed to build weather stations in schools and contrast the data with measurements from the REMS weather instrument on NASA’s Curiosity Rover. The project selected 52 secondary schools to participate, from regions across Spain to represent all possible geographical and environmental conditions (coastal, inland, mountain, plain, etc.) in the country. Each school received a weather station to take measurements. Teams of two to five students (ages 12 to 16 years) and a tutor completed activities during the 2012-2013 school year. Daily data from the weather station were incorporated into a centralized database hosted by CAB, with access to the daily data of REMS. At the end of the school year the team submitted a report and video of their activities. In 2011, Europlanet awarded a grant of 4 000 Euros to the Astronomical Observatory – University of Valencia for the design and prototyping of a 3D tactile model of the Moon, to be used specially, although not exclusively, by blind and visually impaired people. The main objective is to let people with visual impairment see the Moon in their own way, helping them to know the Earth’s only natural satellite. The tactile Moon can be used by planetariums during Moon shows, by science museums as part of exhibitions, and by communicators organising lunar activities for public with visual impairment. Sighted people can also use it, adding the touch to just the visual experience. The models are suitable for use in outreach activities, museum exhibits, and planetarium shows. The model is a sphere of 25 cm diameter, so it can be easily manipulated. 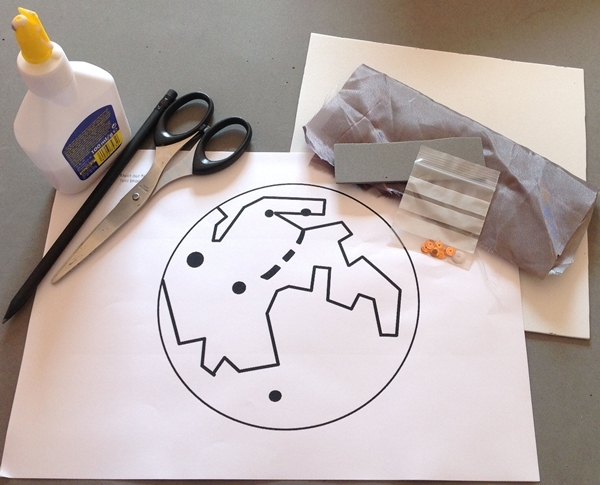 “This was a completely new way to help people with visual impairments to learn about our Moon. Moreover, this group of persons is usually neglected in outreach activities because the lack of special educational materials for them,” said project leader, Dr Amelia Ortiz-Gil. 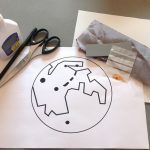 The 3-D tactile moons were included in the “A Touch of The Universe” kits, which were distributed among educators and teachers in underdeveloped countries in Americas, Asia and Africa. In 2010, Europlanet funded a collection of digitised microscope images of rare and usually inaccessible extraterrestrial meteorite samples. 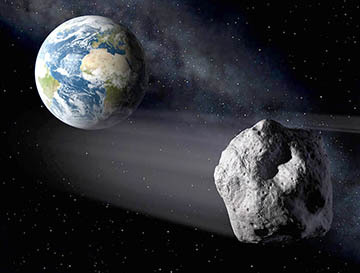 The project was a collaboration between The Open University, The Natural History Museum, London, The Natural History Museum, Vienna and NASA’s Meteorite Working Group (MWG). The mineralogical makeup and the state of preservation illustrate some of the important planetary processes these samples have been subjected to. The Virtual Microscope for Earth Sciences Project is led by the Open University and aims to make a step change in the teaching of Earth Sciences by broadening access to rock collections that are currently held in museums, universities and other institutions around the world. Back to Europlanet Public Engagement Funding Scheme main page.